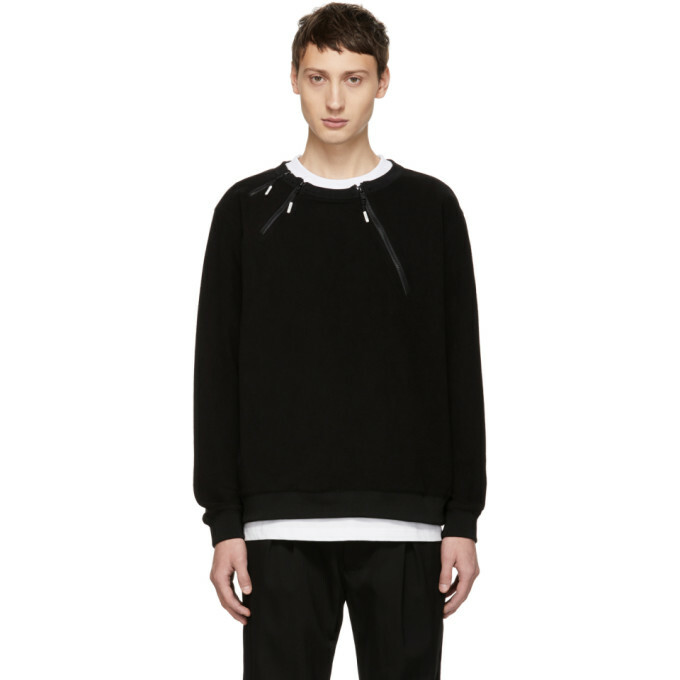 Long sleeve technical satin sweatshirt in black. Rib knit crewneck collar, cuffs, and hem. Zip detailing at collar and front. Graphics printed in grey at back. Tonal hardware. Tonal stitching.